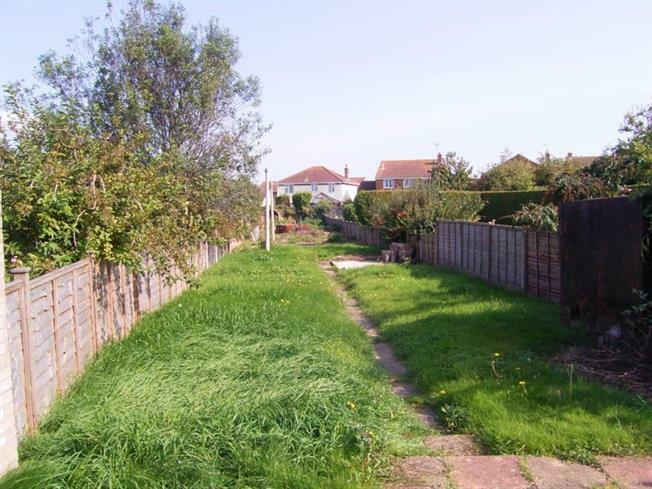 2 Bedroom Semi Detached House For Sale in Harwich for Offers Over £175,000. A Semi Detached Cottage Located In The Popular Village Of Little Oakley, Benefits From Rear Garden Of Approximately 150Ft. The Property Requires Some Modernisation And Is Offered With No Onward Chain. Stairs to the first floor, coal effect gas fire, two double radiators. Window to the rear and side elevations, range of wall and base mounted units with roll edge work surfaces, built-in oven with four ring hob, stainless steel sink with double drainer, door to the rear garden. Obscure window to the rear elevation, low level WC, pedestal wash hand basin, radiator, walk-in double shower with electric power shower, half tiled surround. Window to the front elevation, radiator, two double built-in wardrobes. Window to the rear elevation, radiator, airing cupboard housing water tank and slatted shelving, built-in wardrobe. Rear garden is approximately 150ft with paved patio area, laid mainly to lawn and enclosed by wood panel fencing. To the front of the property is a driveway offering off road parking.